If the Defense Information Systems Agency and the National Archives and Records Administration have their way, no e-mail messages, word processing or other electronic documents from the Defense Department, White House or any federal agency will ever again be lost in cyberspace. In 1997, DOD established Directive 5015.2-STD'Design Criteria for Electronic Records Management Software Applications. The set of standards defines the basic performance requirements that must be met by commercial records management applications, or RMAs, before they can be acquired by DOD and its component agencies. NARA endorsed 5015.2-STD in November 1998 for use by other government agencies, saying it would help them effectively manage the huge problem of handling the millions of e-mail messages, word processing documents and other electronic records that by law are official records that must be saved and archived. In a memorandum to the government's records managers, NARA made it clear that adopting the 5015.2-STD software criteria wouldn't solve all of the electronic record-keeping problems faced by federal agencies, but that it would help by establishing baseline requirements for records management. Work on an updated set of standards is in progress and could be completed before the end of this year, according to DOD and NARA officials. But apparently not everybody in government has been paying attention to the DOD standards. In a much-publicized controversy earlier this year, the White House ran afoul of the House Government Reform Committee for misplacing thousands of e-mail messages. The ensuing brouhaha, including charges of a cover-up, probably wouldn't have occurred if the White House technical staff had used one of the commercial RMAs tested and certified as compliant with DOD 5.15.2-STD, said Tony Summerlin, president of Provenance Inc., a leading manufacturer of records management software. Provenance Inc. is one of two dozen software vendors selling RMA products that have been tested and certified under the DOD 5015.2 standard. The company's ForeMost software is an essential component of many of the integrated records management packages listed in this guide. The White House isn't alone in taking some heat for records mismanagement. In March, NARA released a report citing severe weaknesses in the CIA's electronic records-keeping program. Those weaknesses threaten the preservation of information that might some day be of historical significance to the public, the report said. A CIA spokeswoman said the agency was working on a comprehensive plan to integrate all its information systems and set up standard procedures for how information is managed and controlled agencywide. It's relatively easy to find out which RMA vendors do or do not comply with the DOD standards. DISA's Joint Interoperability Test Command at Fort Huachuca, Ariz., performs testing for DOD 5015.2-STD compliance on the records management suites submitted by developers or teams of developers. For a list of certified applications and those currently undergoing testing, as well as an explanation of the testing program and a complete copy of the 5015.2-STD, check the JITC Web site at jitc.fhu.disa.mil/recmgt/. The RMA test facility can also be reached by telephone at 520-538-5457. As this guide was being written, JITC had certified 24 commercial off-the-shelf RMAs for use by the federal government, and more are being tested monthly, said Karen Carhalla, an RMA tester at the JITC facility. Approved certification lasts for two years, after which the RMA must be tested again, Carhalla said. The JITC Web site displays the expiration date for each product's certification. Vendors'at least those that have passed the certification procedures'are pleased with the program. 'We love this testing program, and are glad that our product is certified. As a result, we have gained lots of business from both government and non-government sources,' said one RMA vendor representative, who asked not to be identified. Because electronic records management is a relatively new and evolving technology, every RMA is different in the way it accomplishes management tasks. A few programs, such as Provenance's ForeMost and Tower Systems Corp.'s TRIM are complete RMA packages in themselves. Other integrated programs listed combine elements from document management, workflow, imaging and computer output to laser disk applications with programs such as ForeMost to meet mandatory and optional RMA requirements listed in 5015.2-STD. Making records. The RMA assigns a unique record identifier to every electronic or nonelectronic record and stores a record with all its attachments. It must identify the media type, record format and physical location of all records, both electronic and nonelectronic. For some records, usually nonelectronic, the program will require that the user indicate the media type, record format and location. Classifying records and assigning disposition. The application can create organizational record categories and provide output for viewing, saving and printing a list of current record categories. It enables the assignment of a record classification code to each record and allows users to assign text-based record category dispositions. It also lets authorized individuals add or suspend disposition of record categories. Storing records. The program maintains the integrity of a record as it was received and stored, without changing the format. It also provides the capability to identify vital records. Screening records. The program provides output for viewing, saving and printing record categories for screening based on their disposition instruction or category, and it notifies authorized individuals of required disposition actions based on the record category disposition instruction. Retrieving records. The RMA lets users request records using the indexes as retrieval criteria and notifies a user if there are no records meeting the criteria. 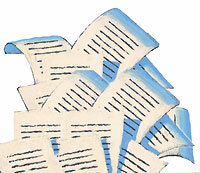 The application also will provide records in the format in which they are stored. Copying records. 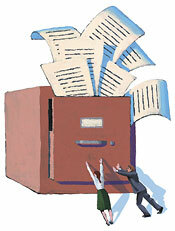 The application prohibits modifying a stored organizational record. It lets a user copy a record or record category into a workspace for viewing, revising, creating information copies or converting the format or medium. Transferring records. The RMA identifies record categories eligible for transfer and presents them to authorized individuals for approval. The identification is on the basis of its assigned disposition. For a record category approved for transfer, the program outputs the associated records and indexes. It also deletes the record category, records and related indexes in accordance with DOD standards. Destroying records. The app identifies record categories eligible for destruction using the disposition of the record category and presents them to authorized individuals. If users attempt to destroy records not eligible for destruction, the RMA notifies them. It requires a second confirmation of the deletion and ensures that record categories approved for destruction are deleted from the records repository according to DOD standards. Keeping track of public records as historical documents isn't the only goal of the RMA approach. ''Create business intelligence in the form of report mining. Other pluses of using an RMA approach include better-informed decision-making; more responsiveness to customers, clients, suppliers and management; lesstime spent tracking and recording information; matching ingoing and outgoing correspondence; more efficient search procedures and savings in time and money, according to a white paper from Tower Software. As for cost benefits, the Imerge report claims that the efficiencies from extensive RMA use of the Internet, intranets or extranets can result in a 12-month return on investment in many organizations.